This advanced sales skills course is for the experienced salesperson who has a track record of success and seeks to become even more proficient. It is also suitable for those who sell complex solutions to multiple decision makers with long sales cycles. It covers sales techniques and sales strategies to maximise performance. It is practical and pragmatic in content with considerable delegate participation. Every salesperson will gain from the fresh perspective taken on this course and the chance to re-think their current working practices. Many good and experienced sales people question the virtues of attending an advanced sales skills course when they already have a track record for success. This is a valid question and one way to answer this is to draw from an analogy. Sales people - like sports people - operate in a competitive environment and are measured by their "wins". Most sports people, indeed virtually all successful professionals, receive regular training, development and coaching to continually improve. Imagine a footballer who never practiced between games, he may still remain good, but would he operate at his full potential? This programme will help to ensure that experienced sales people operate to their full potential and maximise business performance. Most are actually surprised by how much they take away! Advanced sales skills courses are designed for the experienced salesperson wishing to hone their skills and techniques, review their approach to ensure best practice and maximise their performance. This programme is suitable for those selling in a business-to-business situation, selling complex solutions to multiple decision makers with long sales cycles. To enhance current sales knowledge and skills. 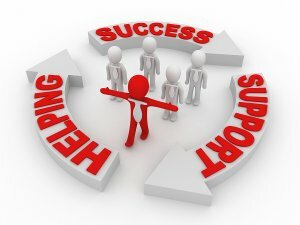 To help each delegate win more business by encouraging the best work practices. To revitalise performance through fresh ideas developed on the course. Sales people are exposed to a high level of negativity and rejection from customers. Over time this can build and manifest itself into a negative frame of mind. 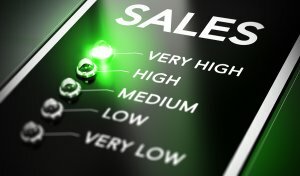 Therefore, it is important that sales people have the opportunity to share experiences and develop techniques to maximise their effectiveness. Building a sales strategy and client plans are key areas covered during the two days. Each stage of the sales process is examined to maximise the effectiveness of delegate actions in the field. Mastering professional consultative selling is the focus of the whole programme. Delegates will consider the key tactics to gain commitment and the use of sales closing techniques to secure business effectively. There is also a focus on planning and managing long sales cycles, including analysis of different types of decision makers and how they can be influenced to win the business. There are practical exercises to develop delegate's skills and techniques relevant to their own situation. It is run in a highly participative way which builds on the delegate's experience using facilitative discussion, and so takes into consideration the role of each delegate and their learning objectives. Delegates will find this course a useful opportunity to review their current practice and to identify ways to become even more effective in the field. It is presented by our experienced tutors, who have many years successful sales track records and who actively perform a sales function for Spearhead. They are very much in touch with the current business issues and able to relate to the challenges facing sales people, and are well positioned to both challenge and support delegates through the two days to make the most of the time available. The world is constantly evolving and competition is constantly becoming ever more fierce – there is no room to rest on our laurels and past successes! Levels of professionalism are continuously improving and salespeople must constantly seek improvements to continue to be successful. For those who are already highly successful, attending this two day programme will provide the peace of mind that they have the very best skills. All materials, lunch and refreshments are provided on this programme. 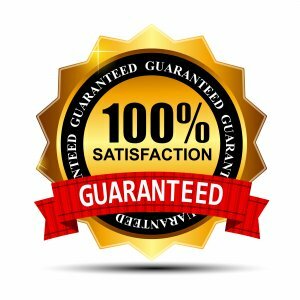 If you are not satisfied that you have benefited by attending our Advanced Sales Skills course, then we will refund your course fee. This course can also be delivered as an in-company option. Click here for details.